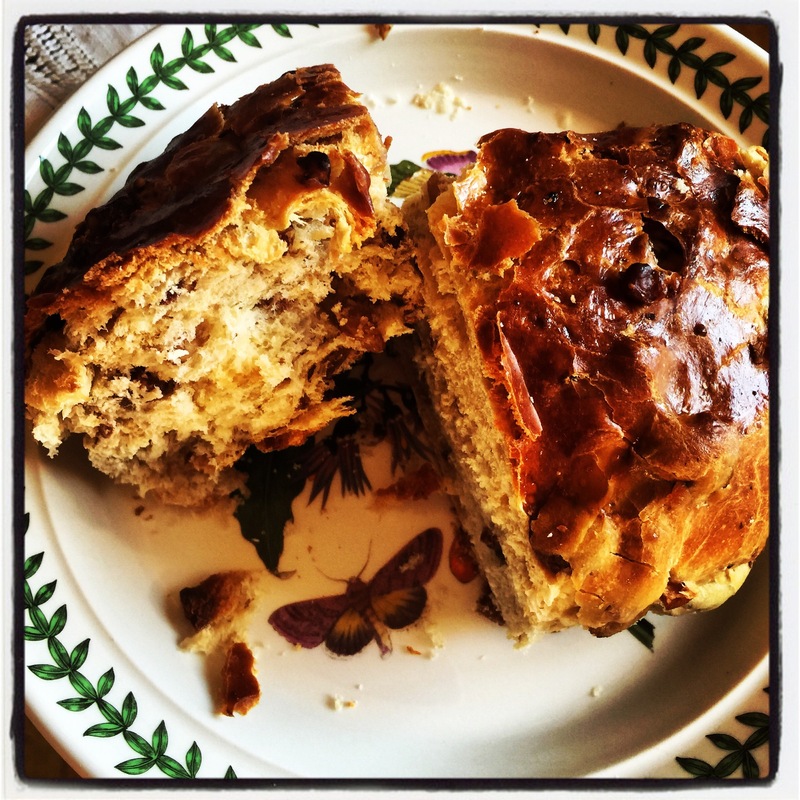 Pan coi Santi : All Saints sweet bread from Siena , ever tried? 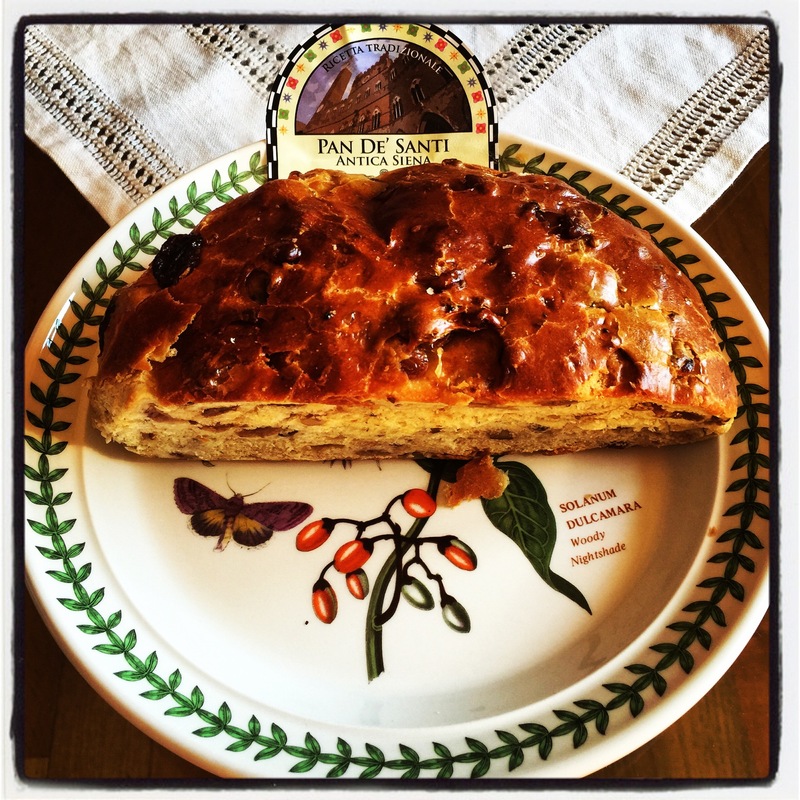 Every period of the year has its own typical food products & this is another one of these : called Pane dei Santi because in the past it was produced at home of by bakers during the end of October , beginning of November ( at that time Halloween wasn’t yet arrived in Italy )to celebrate the All Saints festivity. 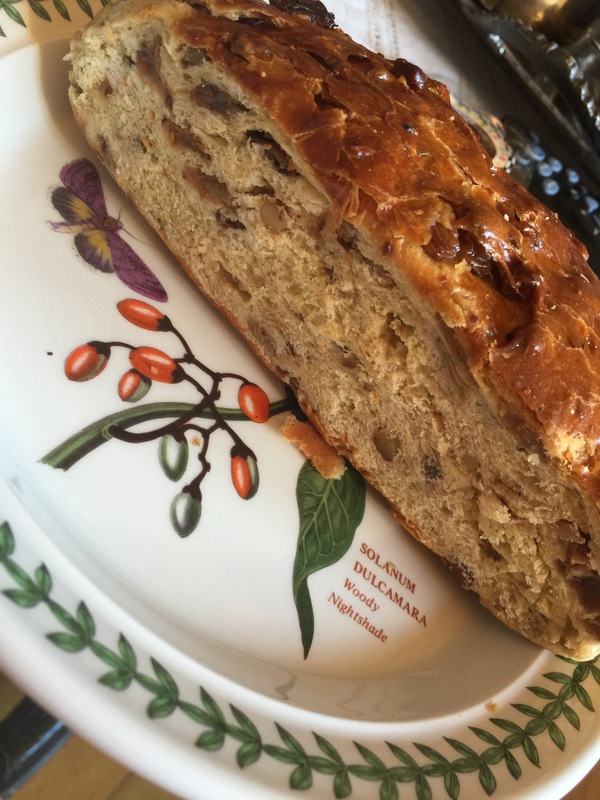 A soft kind of bread with an addition of some walhnuts, raisins, some black pepper , ,aniseeds , butter or extra virgin oil it depending of what it was in the houses at that time, so every receipe is different , each family had one, no receipe to tell! Do you know which is the best dressing for your salad ?